by Chrysti Benner in Pay Off Debt | 3 comments | Contains affiliate links. Get inspired with this amazing debt success story of a real life family of five who paid off a huge amount of debt to become debt free. Our journey into debt seemed innocent enough. We weren’t big shoppers living large. It wasn’t that we were taking luxury vacations and driving fancy cars. We weren’t living in an expensive home outfitted with the latest gadgets. But it didn’t matter. Turns out, debt is debt, no matter how you accumulate it. So when we found ourselves drowning in six figures of student loans and medical bills, we knew something had to give. Our journey out of the pit began with a slightly unusual wedding gift we had received a couple of years prior. One of our family members had graciously given us the audio version of Dave Ramsey’s Financial Peace University. As we began to work through the lessons, we realized we needed to make a change in our finances. And we realized there was hope for our situation. But we weren’t making a high income, and we had a lot of debt. We knew going into it that our journey wasn’t going to be easy, but we also knew we really wanted it for our family. In order to pay off such a huge amount of debt without a high income, we had to follow some intentional steps and principles. The simple steps we followed in order to reach our audacious goal of debt freedom can apply to anyone–including you! 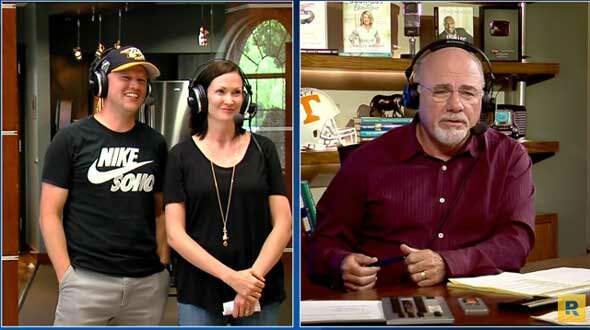 Chrysti and her husband celebrated paying off their debt with a ‘debt free scream’ on the Dave Ramsey show. 1. We created a budget every month. I know budgeting doesn’t sound very exciting to most people, but having a clear picture of our finances each month was key to our success. Many people view a budget as a restrictive straight-jacket for your money, but it’s actually just a way for you to analyze your spending habits and decide how you want to use your money. My husband and I sat down together and looked at our income and expenses, figured out if there were any we could cut, and planned what we were going to do with our income each month. By doing so, we were able to see how much we could pay toward debt every month. 2. We devised a plan. Because we had six figures of debt, we knew we couldn’t just wander aimlessly through the process of paying it off. Instead, we set big goals and chose our plan of attack. We followed the debt snowball method, which encourages you to pay off debts from smallest to largest. Along with our big goals, we set smaller goals to help us move closer to our big goal, little by little. We had a goal every month that would take us one step closer to achieving our larger goal. We tracked our progress along the way, which helped us to see firsthand that the plan was actually working! Our hard work was paying off and we could see that we were moving closer and closer to the finish line. Since we didn’t have a very high income, we had to scrimp and save in as many ways as we could. We cut our grocery bill substantially. There were times when we worked 2-3 jobs at a time to earn extra income. We kept driving our old, paid-for vehicles. Whenever possible, we purchased used items that we needed instead of buying everything new. We routinely reevaluated whether or not we could scale back on certain expenses or if they were even necessary at all. I also discovered a government-sponsored loan repayment program designed for nurses who were working in non-profit hospitals caring for under-served populations, so we took advantage of that as well. Finding multiple ways to save and make money was essential to having extra money to pay toward our debt! 4. We were determined to meet our goal. Eight years is a long time to work toward a goal. We didn’t expect it to take that long, and we certainly had our fair share of setbacks and obstacles during that period of time. Job losses and career changes, car repairs, hospital bills, and more. That’s just how life is sometimes, right? In a span of four of those eight years, we welcomed three precious children into our family. That meant three maternity leaves (two of which were unpaid) and increased expenses for our family. There were many times during those eight years when we had to readjust our goals to be more realistic for us in our particular season of life. I would be lying if I said I never got discouraged during those eight years. There were times when I felt like we would never reach the finish line. But, we knew why we were pursuing this goal for our family and we weren’t going to give up, no matter what. Instead, we found our tribe of cheerleaders. Although we knew very few people in real life who were debt free, they were always very encouraging. Online communities of like-minded people provided support throughout our journey as well. We found ways to stay motivated by reading the debt-free stories of others, listening to debt-free screams on the Dave Ramsey Show, and by focusing on how far we had come. We stopped comparing our situation to that of anyone else. I reminded myself that progress is progress, no matter how slow. Ultimately, we chose to stay in our lane and work our system, even if it took us several years. Thanks to getting out of debt, Chrysti is now able to stay at home with her kids. After years of hard work and determination, we did it! We tackled and conquered our mountain of debt. 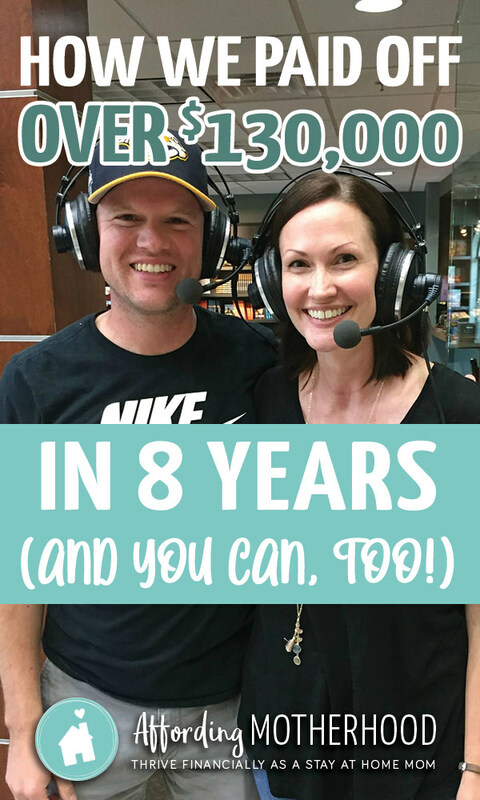 We did our own debt-free scream live and in-person on the Dave Ramsey Show. And now? 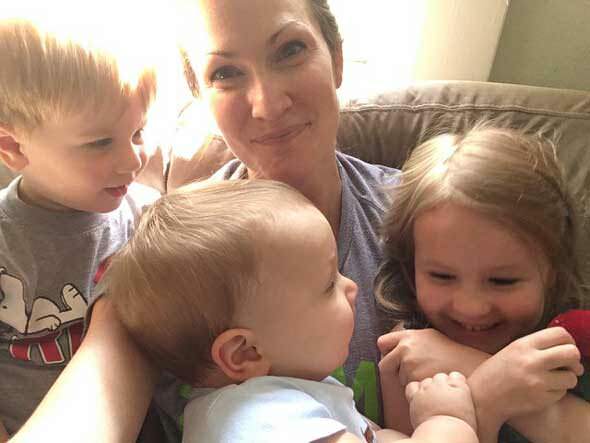 I’m able to afford to stay home with my three small children almost full-time (I work a couple of days a month to keep my skills and knowledge current and my nursing license active). What an incredible blessing it has been to have the flexibility to make that choice! Our financial future now looks drastically different than it did eight years ago. We still don’t earn a high income, but that’s okay. We are able to live well on one income because we don’t have incredibly high loan payments to make each month. Our financial stress has decreased significantly. We have the freedom to make choices that are in line with our family values. Each and every step of the journey was worth it to finally be on the other side of the mountain, past the finish line of our huge goal. Where are you in your journey to debt freedom? What has been most helpful so far? 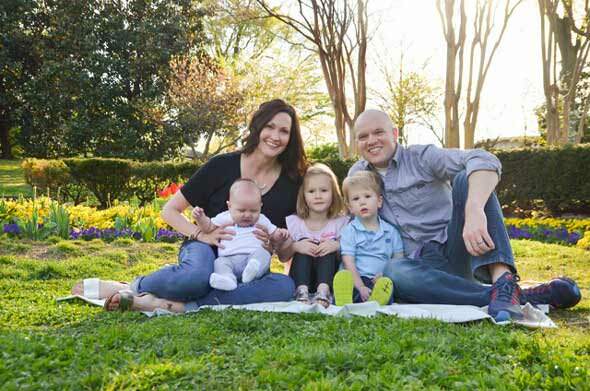 Chrysti is a wife, mom to three littles, and a nurse. 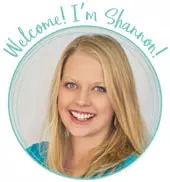 She and her husband paid off over $130,000 of debt through a lot of hard work, frugal living, and intentional planning. She writes about finding margin in finances, life, and the kitchen at MarginMakingMom.com. Thank you Chrysti for the great story and being honest that paying off debt is hard but well worth the effort. We are currently working on paying off our debt and it is really close to your number, I really hope we can also have this amount paid off in 8 years! I am also having three kids and a mountain of debt like you once had. 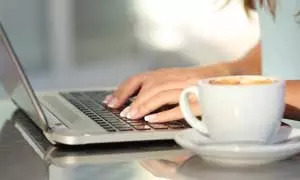 Reading your article has given me hope that I will reach the peak of a debt free life one day by starting from the smallest debt to the largest. Thank you for sharing your inspiration!